Video games are great, but these days most of the focus is on thinking fast. Action is all well and good, but sometimes it is nice to take a moment to plan things out and strategize. Not surprisingly, a turn based strategy is the order of the day when that craving arises. 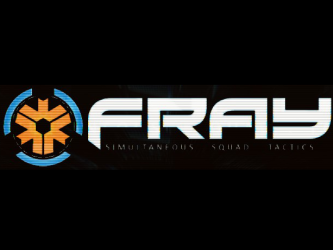 Fray is one of the few multiplayer titles out there to feed that need. The visual style of fray is fairly sharp. It what has become a traditional “future” tone, with lots of darkness mixed with neon colors. Your troops are high tech to the point of being alien in appearance, though the “VR” nature of gameplay can explain that. Early in the game’s run there may have been some graphical glitches, but to the developer’s credit, frequent patches have smoothed out any bumps that I had noticed. The graphics aren’t revolutionary or enthralling, and there isn’t much done to elevate the spectacle of the game. Normally I wouldn’t mind that much, but again, we’re talking about a turn based multiplayer game. That means that even the slowest players will be sitting and waiting while their carefully planned out set of maneuvers are played out. It was interesting, but without the ability to interact while the soldiers are duking it out, I feel it should have been more than that. Not a mark against, but not a mark in favor either. Nice as it is to have an attractive visual style, for a game like this, the more important part is the effectiveness of the UI. For the most part, I feel that they succeeded. Once you’ve spent some time with the game, vital info like movement radius, available actions, auras in effect (more on that later), attack range, and fog of war are quickly discerned. A roughly isometric few of a hex field gives you a good command of the battle. I had a little difficulty telling the difference between classes at times, but a bit more play gave me a sense of that as well. That’s not to say that there weren’t problems. I would have liked better camera control. Though I didn’t focus as much on chat as many might, I had a hard time finding a good spot for the freely positionable window, and I seem to remember missing many messages because of a strangely absent ability to scroll back. Some of these things appear to have improved with patchs, but others have not. Overall, the form and function of the games graphics are mostly well designed, but missed a bit on the implementation. As you might imagine, the gameplay of this title is complex, as it should be. 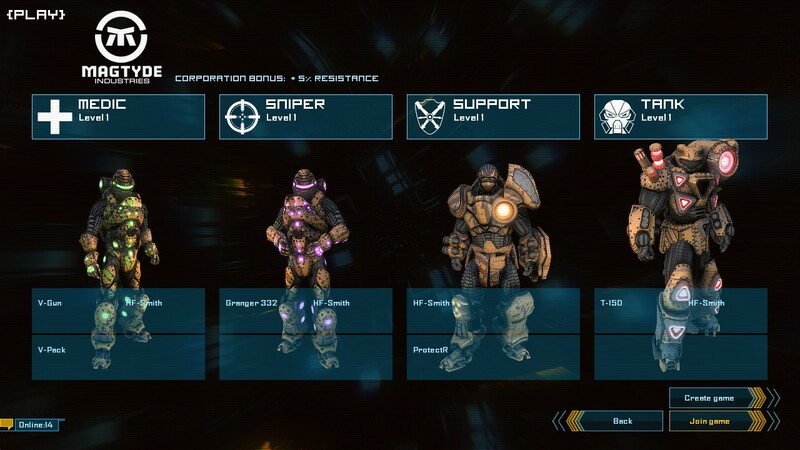 You play by assembling four soldier squads, each made up of a handful of standard classes. 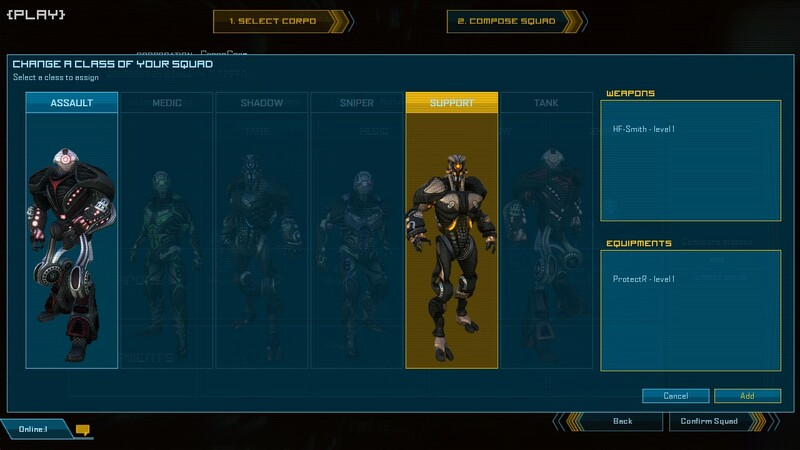 All of the classes you are expecting are represented: support, sniper, the balanced soldier, etc. 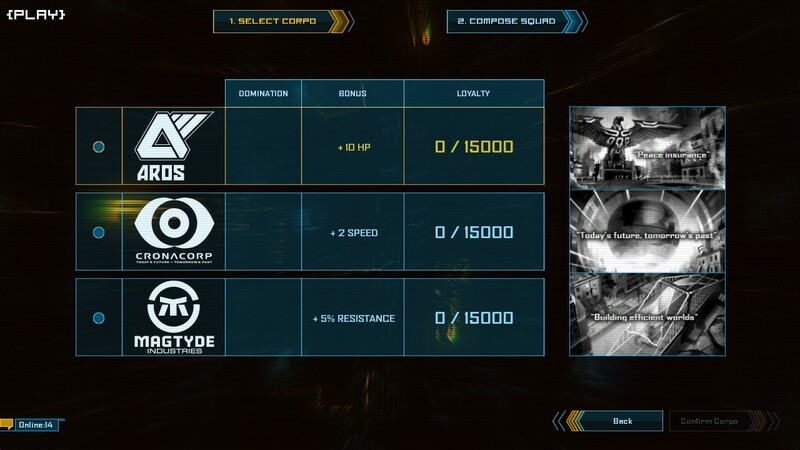 Before each map you put your team together, customizing the load out of each one. Depending on how much experience you’ve earned in the game, different options are available to you. This is a great idea, and also a problematic one, because if you were to, say, hang back and wait for some of the more glaring glitches to be ironed out before giving the game a serious try, you’ll find that you are out gunned and out equipped. More on that in a bit. A lot of this game is standard stuff for Turn Based Strategy. There is fog of war, there are limited movement radii and things like cover and a sort of “rock-paper-scissors” of unit versus unit effectiveness. Other things are innovative, though. Unit grouping becomes very important, thanks to what they call “auras,” areas of effect around certain troops that act as buffs to surrounding ones. This might lead you to arrange your meant in a cluster around the medic for the health benefits, but doing so could leave you at the mercy of some well placed explosives. It is an additional level of strategy that I enjoyed. The main uniqueness of the game, though, is one of its greatest strengths as well as its greatest weakness. It is multiplayer only. Each player starts queuing up moves at the beginning of each round. You have a limited number of action points, and must spend them carefully. Once you are done, you confirm your move. Since the main mode of play is based on limited time to rack up a kill count, the game has to keep moving, so a timer starts ticking down to spur the slower thinkers in the crowd into queuing up their moves. In theory it is a great way to keep the pace up. In practice, it guarantees that the quick thinkers are bored waiting for people to finish and the slow thinkers are rushed trying to beat the clock. With a well balanced team field of players, this wouldn’t be a problem, but balance is a tricky thing to find in this game. Why? Well, that’s where we have to address the elephant in the room. This game started off glitchy. Very, very glitchy. Bad click detection, bad match making, the works. We here at BL decided to give them the benefit of the doubt and wait until a patch or three dropped before making our final judgement. I’m happy to say that a lot of the problems present in the initial game have been fixed, but in waiting, we discovered a new problem. There simply isn’t a very deep online community for this game. Frequently I would hop online to find that there were three people on: two people already in a game, and me. Typically I would take that as an opportunity to play some matches against the AI, but that brings me to the biggest problem I had with the game. There is no single player whatsoever. That means no training, no practice, no tutorial, nothing. It is phenomenally frustrating to have to muddle your way through a rich and complex game through trial and error against an opponent who can mock you relentlessly over chat. Then, later, it is equally frustrating to match up with a first timer who is tripping over himself. Add in the fact that the handful of games you’ve played in order to get your bearings has also brought you more equipment, and you create a game that is VERY hard to get into as a first timer. Now, most of what I’ve had to say here is simply the growing pains of a first time game. If Fray is fortunate enough to earn a following (and there are the elements of an engaging game here if they can be polished) then most of these problems will go away. A wide field of players will provide a good spread of skill levels, a few more patches will eavn out balance and stability problems, and things will be much more playable. 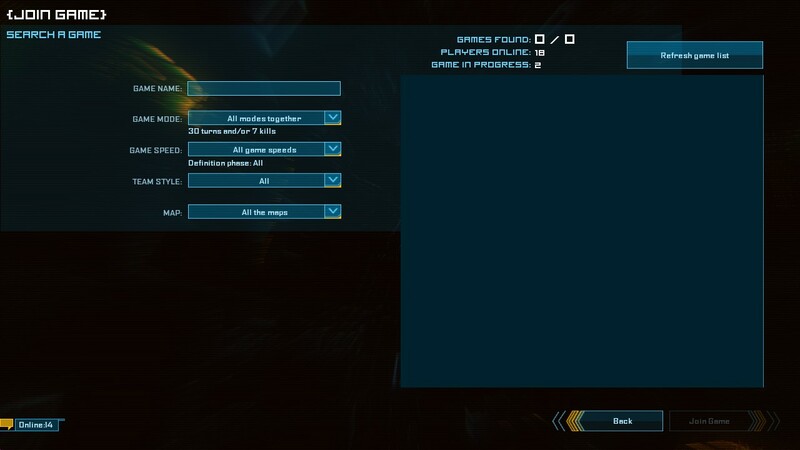 I would still like to see the option to do single player, but otherwise, if the game can muscle its way through this initial rough patch, it could really improve. As I sit here, going over my gameplay experiences, I cannot dig up a single memory of the audio in the game making an impression on me. That doesn’t mean much, just that it wasn’t stand out. Think of them as Unilever, ExxonMobile, and ... Monsanto maybe? Fray is far from perfect. It definitely could have used a few more rounds of beta testing before it showed up on the market. That said, there is potential here. I can’t very well say to you, “You shouldn’t play the game because there aren’t very many people playing the game.” That would be a self-reinforcing problem. Instead I’ll say this. If you stayed away from the game because of the glitch reports, rest assured that many have been fixed. Consider convincing a friend or two to jump on and learn the game with you. It might be worth your time. 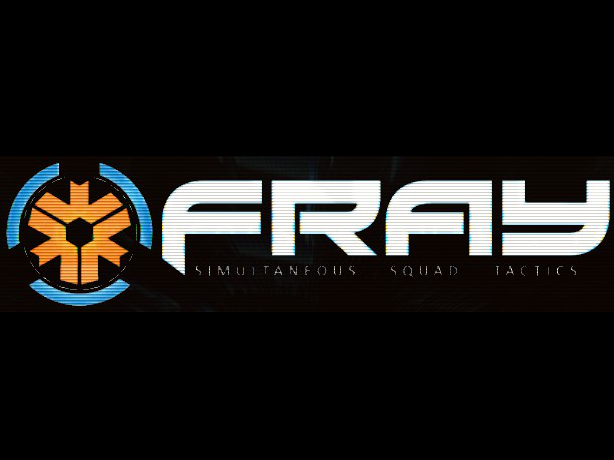 6.4/10: Fray is a flawed game that, if it can recover from its balance and stability issues, has tremendous potential. Think of them as Unilever, ExxonMobile, and … Monsanto maybe?